This Fair Oaks plot map was published in the "Fair Oaks Register" in 1901. 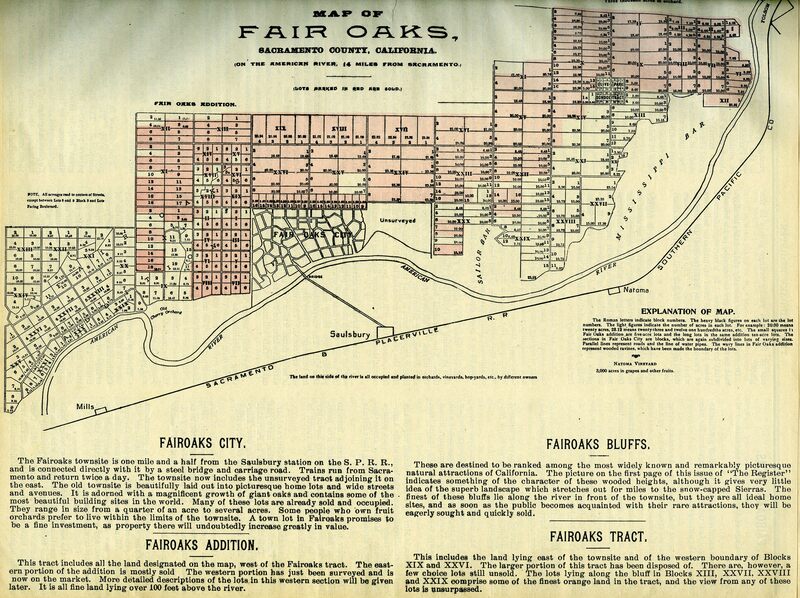 Of interest are the definitions of the various Fair Oaks Colony areas and how much of Fair Oaks had been sold (those plots shaded in red). A larger version of this map is on our website.